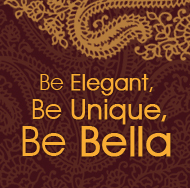 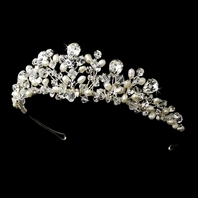 HOME / WEDDING HEADPIECES / Wedding Tiara / Victorian Freshwater Pearl & Crystal Bridal Tiara - SALE! 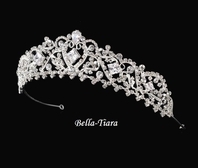 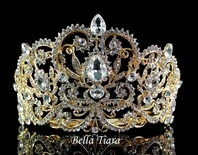 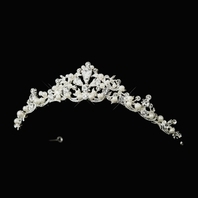 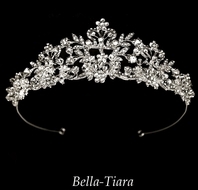 Description: The stunning design of this tiara features creamy freshwater pearls, Swarovski crystals, and rhinestones. 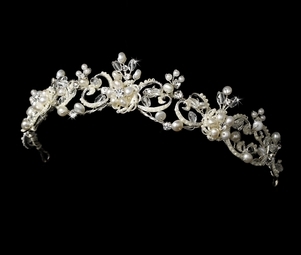 Perfect for the modern, vintage, or classic bride, this piece ends with two loops that allow you to fasten it in your hair with bobby pins.